Green tea is the preferred drink for billions of people worldwide daily. In fact, it is the most consumed beverage in the world after water. 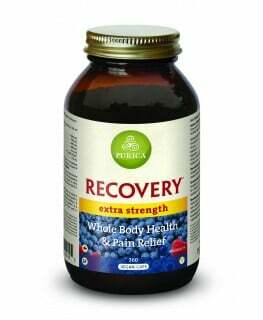 There is excellent research that shows it has important medicinal value. You could receive 50 HealthPoints for writing a review and/or rating this product. Polyphenol, a strong antioxidant naturally found in green tea, plays a significant role in contributing to the well being of our body. The major polyphenols found in green tea are catechins, in particular epicatechin, epicatechin gallate, epigallocate-chin-3-gallate (EGCg), and proanthocyanidins. Among all the polyphenols, epigallocate-chin-3-gallate (EGCg) is the most powerful of the catechins family with a high antioxidant activity of 25-100 times stronger than Vitamins C and E. Natural Factors Green Tea is a premium supplement which delivers the most potent dose of Green Tea. 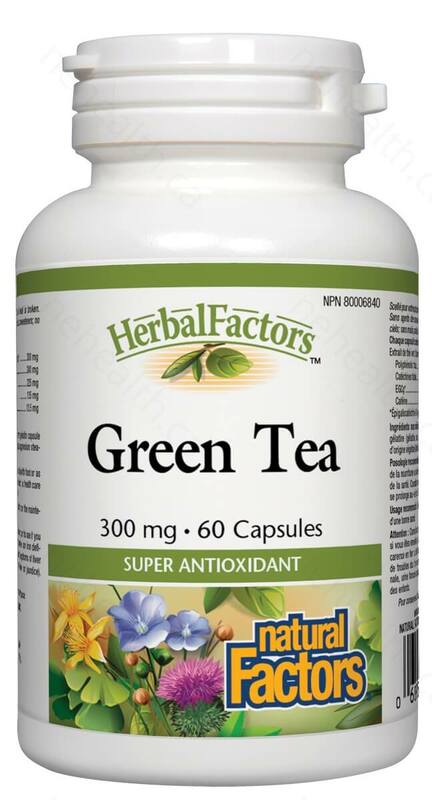 What Are the Key Health Benefits Associated with Natural Factors Green Tea? Why do we need Natural Factors Green Tea? Cancer prevention: Studies show that green tea consumption protect us against the development of esophageal, stomach, lung, colorectal, bladder, gastric and pancreatic cancers by stimulating the activities of our antioxidant enzymes such as glutathione peroxidase and catalase. Besides, green tea also inhibit the cancer causing enzymes involved in tumour promotion. Atherosclerosis: Australian researchers discovered that the phenolic compounds found in green tea may reduce the oxidation of low density lipoproteins (LDLs) and thereby lowering the chance of atherosclerosis and heart disease. Dental cavities and periodontal disease: Research shows that green tea catechins has the ability to suppress the process by which cavity-causing bacteria create plaque and cause tooth decay. In addition, green tea catechin can potentially kill the bacteria themselves. Weight management: The studies of the effect of green tea extract on weight reduction show a 40% decrease in the digestion of fat in both the stomach and intestine after taking green tea extract. As a result, it is concluded that green tea extract plays a role in delaying the action of gastric and intestinal lipases, thereby resulting in a reduction of fat digestion and absorption. 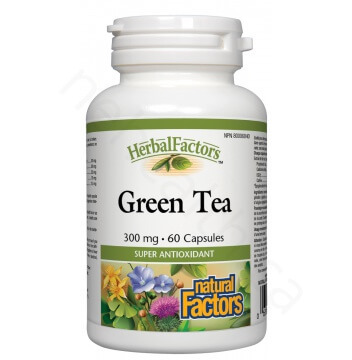 In addition, studies also found that green tea extract has a stronger thermogenic action than caffeine or ephedrine. Non-medicinal ingredients: Rice powder , gelatin capsule (gelatin, purified water) , vegetable grade magnesium stearate (lubricant). 1 capsule daily with food or as directed by a health care practitioner. Consult a healthcare practitioner for use beyond 12 weeks. Nakachi, Kei, et al. "Preventive effects of drinking green tea on cancer and cardiovascular disease: epidemiological evidence for multiple targeting prevention." Biofactors 13.1 (2000): 49-54. Sakanaka, Senji, and Yuki Okada. "Inhibitory effects of green tea polyphenols on the production of a virulence factor of the periodontal-disease-causing anaerobic bacterium Porphyromonas gingivalis." Journal of agricultural and food chemistry 52.6 (2004): 1688-1692. Taylor, Peter W., Jeremy MT Hamilton-Miller, and Paul D. Stapleton. "Antimicrobial properties of green tea catechins." Food Sci Technol (2009). Basu, Arpita, et al. "Green tea supplementation affects body weight, lipids, and lipid peroxidation in obese subjects with metabolic syndrome." Journal of the American College of Nutrition 29.1 (2010): 31-40.